Kurrajong Gap Lookout is a short drive from Albury/Wodonga and is located between Bellbridge and Bethanga along the Kurrajong Gap Road. The Kurrajong Gap Road quickly climbs from Lake Hume reaching the scenic lookout at the gap. 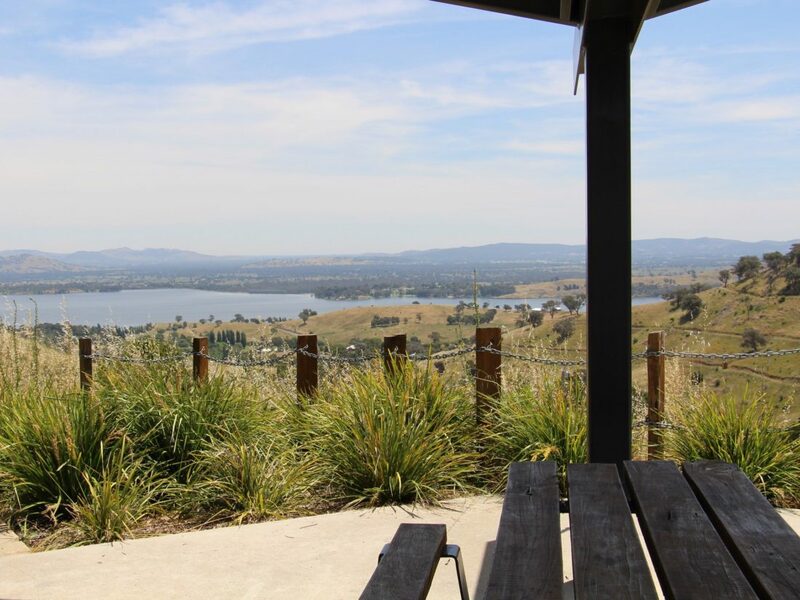 It is here that you can take in some incredible views of Lake Hume, the Lake Hume Dam Wall and the cities of Albury and Wodonga below. Bring a picnic and sit down at one of the picnic tables to take in the views of the rolling hills, lake and cities below. The lookout offers; information boards, a small car park, several picnic tables and chairs with the option of an undercover area and a viewing platform. If you blink you might miss it, so drive carefully and keep an eye out for this fantastic lookout. Do not forget your camera.